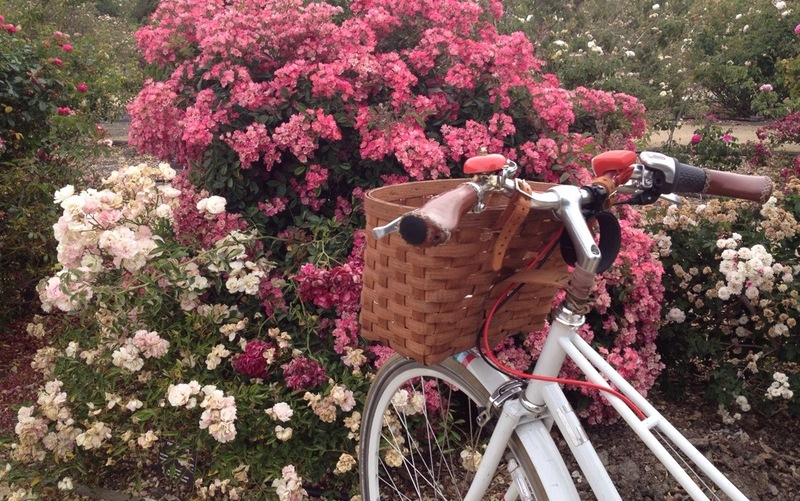 Bike Commute Diaries: Stopping to Smell the Roses | One woman. Many bicycles. Every morning on my way to work I roll past the beautiful San Jose Heritage Rose Garden. This spring I’ve been too busy with Bike to Shop Day, fighting for bikes in the El Camino corridor and launching new products at work to stop once (and I’m not done yet). Today I stopped anyway. The hybrid tea roses and the grandifloras are spent, but the floribundas are still going strong. I smelled the floribundas, then rolled on to get back to work. Hope the roses help refresh you after all the hard work you’ve put in for BTSDay. Well done Janet!